The elegance, beauty and personality wrought iron furniture provides -which is so representative of the aristocracy of past centuries- is more and more present in modern houses. 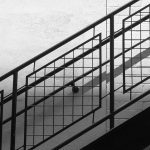 Iron furniture, as a comfort and distinction element, is expanding in use thanks to the flexibility, versatility and affordability of the materials used. The versatility of iron allows the artisan to create amazing artworks not only using traditional rustic styles but also modern and minimalist styles. Custom styles possibilities are infinite and the variations will depend on the taste and creativity of each client. 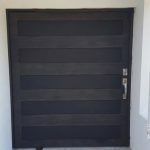 The distinction wrought iron delivers reaches another level when its combined with other materials such as wood and glass, accentuating or toning down other furniture and architectural elements of the residence. Wrought iron furniture can be placed anywhere within the residential building and its surroundings, although it is more common to see this material in the headboards of bedrooms showing class and elegance, and on the tables and chairs of terraces and gardens resisting the pass of the time and providing comfort and personality. 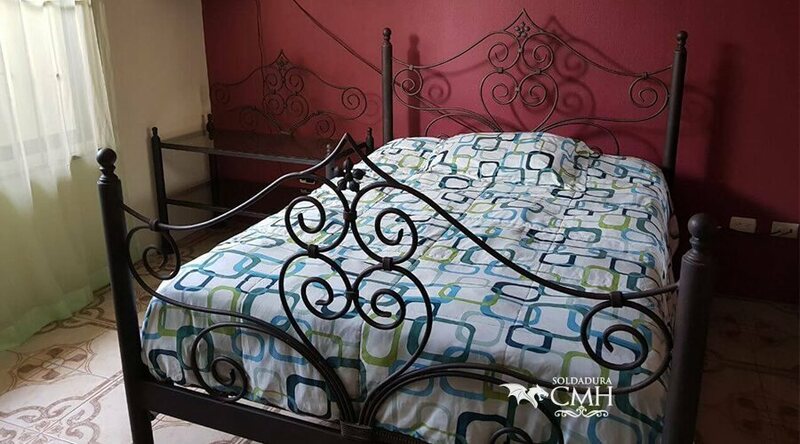 At Soldadura CMH we make beds, chairs, tables, benches, mirrors and shelves and a wide variety of other furniture that bring class and elegance to rooms, terraces, gardens and any other space of the house. In addition, we make accessories and decorative elements such as candle holders and candlesticks, frames, magazines, shelves, pots, kitchen accessories and supports for fans and other electrical devices. The alternatives are as wide as the client’s imagination, although we are happy to give the client our advice for a better use of the furniture according to its purpose, location and space. 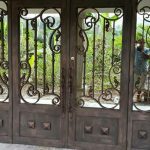 We have the experience, skill, knowledge and equipment necessary to manufacture wrought iron furniture for houses. 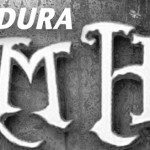 We also have the necessary logistics to provide our services anywhere in Costa Rica. Learn more about us on our website and request a quote with no strings attached. We’d be happy to help you!